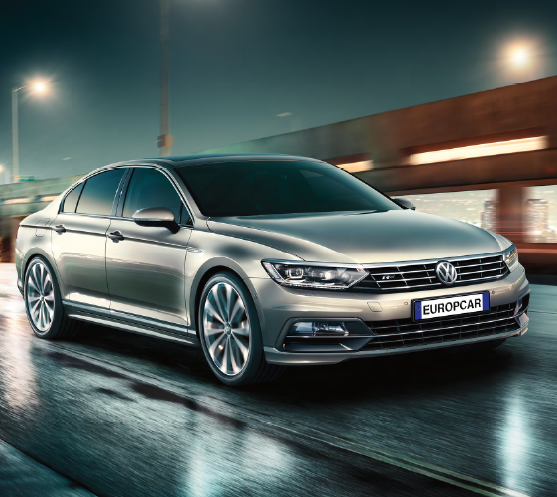 Europcar, the leader in car hire services in Europe, has further reinforced the family-appeal of its fleet with the addition of the latest Volkswagen Passat Saloon S and SE range. Esteemed amongst families, this practical, stylish, and economical car is ideal for those travelling long distances, with comfort guaranteed thanks to built-in lumbar support, Ergo Comfort front seats and adaptive cruise control. The latest models also come with state of the art entertainment features, including a 6.5” colour touchscreen composition media system, Bluetooth telephone connection, DAB digital radio receiver and Multi Device Interface with USB and aux-in. So, whether it’s keeping the kids entertained on the way to the seaside or for a long business trip, the Volkswagen Passat is the perfect choice. “Gone are the days of family cars being frumpy and boring”, said Ken McCall, Managing Director, Europcar UK Group. “And nowhere more so is this epitomised than in the new Volkswagen Passat which combines style and practicality. We are, therefore, delighted to be able to add this new model to our fleet.